BAY POST INTERNET: Is Light Rail Really the Answer? Is Light Rail Really the Answer? What we are now calling Light Rail has a rich history in the United states dating back to 1832. The basic form is a small gauge railway, placed in public right of way and on private property often by easement. The Light Rail system runs from point A to point B often with branches and numerous stops along the way. 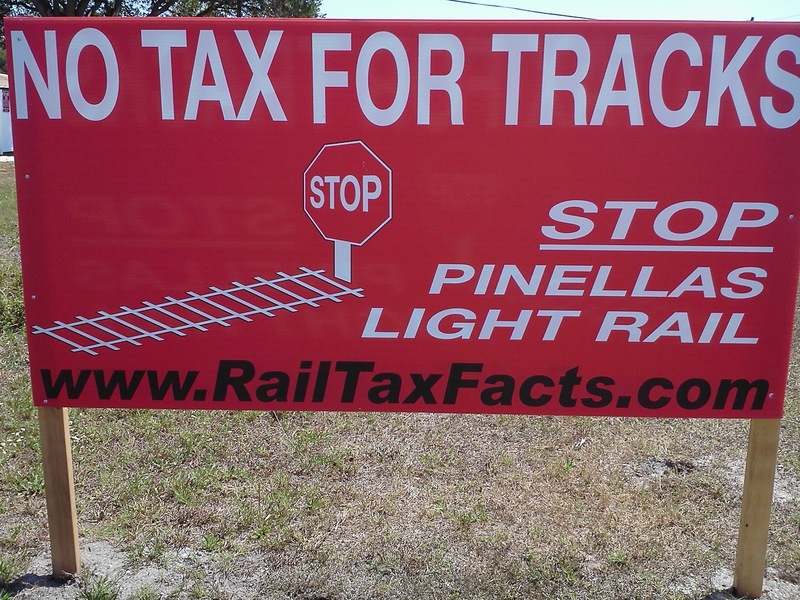 The question coming to the table is simply "is Light Rail a viable mass transit alternative for Pinellas County"? Let's look at some issues. First, Light rail is big business. What is big about it is its design, procurement, right of way deals and construction. Looking around, you find that the only people who ever got rich from Light Rail were the realtors who cut the land deals, the politicians who helped them, the company who sold the train and track and the construction company that installed the system. Notice who is missing here? The government or authority that is stuck running the system. That government by the way is you. Politicians love Light Rail. It is a one stop simple answer to all of those complaints about roads and traffic. It provides a lot of places for plaques with their names on them, and a good source of campaign contributions while the thing is being approved and built. And if they or someone close to them just happens to have property along the right of way, then that's just gravy. Pinellas County is the most densely populated County in Florida. We are built low, dense and spread out with multiple concentrations of commerce, retail, tourism and entertainment. Light Rail cannot directly serve all of those centers of interest, so by default the system becomes intermodal. That means we must use busses or some form of ground transportation to feed the Light Rail system. So ask yourself this question. Will you go somewhere to get on buss, to ride to a train, to take you to some station, where you will in all likelihood have to get on another buss to get where you want to go? Then repeat that process to get back home? 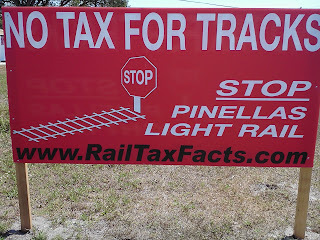 People do it every day in New York, Atlanta and Chicago, but the real question is will they do it in Pinellas County? It will take some serious retraining, and the reason a lot of people retire here is to get away from just that kind of hassle. Once built there will be never ending pressure to acquire more property, build more miles expanding cost and operating expenses. The politicians and Light Rail supporters say commerce will redevelop around the Light Rail routes and stations. That will take decades to happen in this County, and if your business is not located on or near the rail line how does that work for you? The proponents say we are building for the future, the problem is we have to pay for Light Rail in the present, and it is a long shot at best. Before we start a tax that will never end and spend a lot of time and money studying, analyzing and trying to sell Light Rail to the public, we should look at some alternatives. Hillsboro County got it right.